Archives of Eaton Bray News for May 2008. The Eaton Bray millenium booklet titled Eaton Bray - A Century of Change was origially published as part of the millenium celebrations by Eaton Bray Parish Council. It has now been reproduced on eatonbray.com by kind permission of Peter and Mary Mayne, author and editor of the booklet respectively. To view the contents of the Millenium Book, see Eaton Bray - A Century of Change. If you have any of your own photos or historic documents that you would like to see published for others to enjoy, please leave a comment below or use the Contact Us page. You can also send us files directly using the Submit Content page. The next Parish Council meeting to be held at the Coffee Tavern on Monday 2nd June 2008 at 7.30pm. Items for the June agenda to be requested no later than Thursday 22 May 2008. The record sum of £3,700 was raised at the Dagnall village fete. The sunshine attracted the crowds, who were glad to spend towards the provision of a new all-weather track at the village recreation ground and towards school funds. Cathy Bovington at the school said: "There was a great community spirit. It was a wonderful day." The fete on Saturday (May 10) included many side shows, family races and games. There was a display of vintage cars and motorcycles and staff member Adrian Bush ran a goal shooting attraction on behalf of Eaton Bray Lions. Sally Thorne organised the family races and also the hog roast which followed in the evening and included a disco for the children. On a bright hot sunny day and with most of the team being far too sober the Bray travelled to old rivals Bourne End. This is the first time we've met in about 3 years due to being rained off in the last 3 seasons. On what was a good day to lose a toss the captain actually won it and made the biggest mistake of the day by batting first! This seemed prudent at 2.30pm with temperatures at about 25 degrees and a pitch that looked dubious although hard. About the only highlight of our innings was a dogged 15 from new boy Glenn Hearn having been asked to open the batting and a top edge 6 from youngster Adam Harvey, this cleared the short boundary fence, struck the road and clattered into an AA Van that had stopped to watch us play!! Brooksey and Harv were later heard commenting that the driver was a very nice man indeed!! Although the rest of the team thought they had disappeared for 10 minutes to go to McDonalds!! Following these highlights and lots of lowlights, including the skippers wild hoick that led to a 3rd ball duck, we eventually succumbed to the not very nice men of Bourne End for 82! There were no further things of note, with Bourne End knocking the runs off 1 wicket down in about 11 overs!! We even managed to visit the wrong pub after the game, Bourne End having changed about 23 years ago following the last time we palyed them!! A team meeting will be held after the President's 40th celebrations (which are in the Social Club of Eaton Bray) at 4.30am in the Cube Room in Leighton Buzzard on Saturday 17th. In the last match of what has been an exciting and successful season we were away to the runners up in our league, having already beaten them twice we knew that they would be looking to try and get one back. In what turned out to be a great match there was nothing between the two teams. With the score 0-0 at halftime we made our substitutions and with six minutes left we went one up and then straight from their centre they ran at us and scored the equalizer and then the rest of the match was very tense with both sides pushing to score the winning goal but the match ended in a draw. This was a great match to finish on and gives us plenty to look forward to next season. Kev and Steve thank all the players and parents for their support this season. The visitors netted almost immediately, but the goal would prove Lions' wakeup call as they responded to the pressure and an arcing strike from Sean evened the scoreline. Barton maintained their attacking surge but, testament to keeper Dan and some stylish defending from James, Mason and Aarin, were held at bay until the closing minutes of the half, when a controversial goal landed. Any sideline debate would prove academic though, as Barton struck four more times in the second half. Still Lions would not succumb without a fight, and displayed some of their most accomplished football to date. Ben took up position in goal and pulled off some impressive diving deflections, while Charlie and Tom knocked the ball easily between the Barton defenders. Forward Adam finally saw his hard work pay off as he drove a corner ball into the back of the net, while MoM Chris slotted a crisp pass to Dom who completed beautifully to bring Lions' tally to three. What a great finish to a great season, at home against a team that needed to win to stand any chance winning the league. The Lions were on fire, controlling the game from start to finish. With some strong runs up front from Hattie, who scored a great goal from a corner, and Megan who kept the pressure on the Cranfield defence. Lions controlled midfield with Darcy putting in another strong performance and Elsa and Emily ensuring that we kept the pressure on Cranfield. In defence Katy and Devon (GoM) showed what a strong pairing they have at the back, with some great runs up field to assist our attack. When Lions made their substitutions Beth and Shannon worked hard and continued to protect our goal while also pushing forward to help in midfield. In goal Nancy again looked confident and made some good saves. Kev and Kazza would like to take this opportunity to thank all the players and parents for all the support they have had this season. Time is running out for residents in the East of England to have their say on plans to address the shortage of caravan pitches for Gypsies and Travellers in the region. The deadline for comments is Friday 16 May, 2008. This consultation is being run by the Government Office for the East of England (GO-East), on behalf of the Secretary of State for Communities and Local Government. Local authorities are responsible for planning authorised pitches for the 4,229 Gypsy and Traveller caravans in the region. Of these 1,140 are currently on unauthorised pitches. East of England Regional Assembly (EERA) has recommended that each of the region's 48 local authorities should provide at least 15 additional pitches. Proposals will be finalised by GO-East in 2009. "It is important to engage with the Gypsy and Traveller community. By providing enough authorised sites to meet people's needs we can reduce unauthorised encampments and help to end friction with settled communities." The plans for additional Gypsy and Traveller caravan pitches are part of a single issue review of the East of England Plan (Regional Spatial Strategy) and follow two years of research and consultation with local authorities, businesses, voluntary organisations, the public and Gypsies and Travellers. The East of England Plan provides a clear, agreed, long-term vision for how the region will provide jobs and homes for its residents until 2021 and beyond. It is the framework for putting into place the Government's growth agenda within the region and ensuring that growth is sustainable. The adequate provision of homes and affordable housing to accommodate the needs of different communities, is a vital element of the Plan. Responses to the public consultation will be considered by an independent panel who will conduct an Examination in Public and provide recommendations on any changes to the proposals. The Government will consult on any further changes before publishing the final policy later in 2009. Our 10 o'clock club are holding a Coffee Morning with Bring and Buy, Cake stall and Raffle on Saturday May 10th from 10.00am until 12.00 noon. Proceeds from the event will be shared between the Luton and Dunstable Hospital Incubator Appeal and the Methodist Homes which are the Clubs charities for the year. Do join us and support two worthwhile causes. On Sunday May 11th at 10.30am we have our Sunday School Anniversary. This is always a very special day in the life of our Church Family and a warm welcome awaits. This service will be led by Roger Owers and our young people. Jane, James and Nikki MacFarland are once again opening their gardens in Gt. Billington to host a CREAM TEA'S AFTERNOON on Saturday June 7th from 2.30pm until 4.30pm. There will be various stalls; Cakes, Bric-a-Brac, Plants and Games including Crockery Smashing. A really Fun afternoon for all ages with a scrumptious tea in lovely surroundings and plenty of parking space! The event is also to try to raise money for the Tear Fund Disaster Appeal and Church Funds. Do join us. Two bank cashiers stole £30,000 from the Harpenden branch of their employer NatWest. Hannah Carre, aged 22, from Eaton Bray, and Margret Busani, aged 42, from Dunstable, pleaded guilty in court this morning (Friday) to stealing £15,000 each from ATM machines at the Harpenden town centre NatWest bank between October and February. They also admitted at St Albans Magistrates Court to false accounting relating to entries into an ATM balancing book. Busani admitted conspiring with Carre to carry out the theft after their manager noticed money was missing. The court heard in their defence that the crime was opportunistic and that they were both struggling to manage debts which included Busani's overdraft of around £8,000 and Carre's overdraft of £1,000. It was claimed that Busani's husband had fallen ill making her the breadwinner, and that Carre's boyfriend had left the country which landed her with all of the domestic bills. Their defence solicitor said the money was not spent on lavish things but was used to meet household expenses. The pair allegedly felt they could not turn to their employer for help because they had seen customers seeking financial assistance being turned away. The magistrates were asked to pass sentence but they decided that due to the seriousness of the crime, the pair should be committed to Crown Court where they will be sentenced at a later date. Unwanted items lurking in the back of a cupboard? We need good quality unwanted goods - please contact us on the carnival website for collection. We desperately need more helpers to make carnival day the great event we all love. Please get in touch via the web if you can help us. 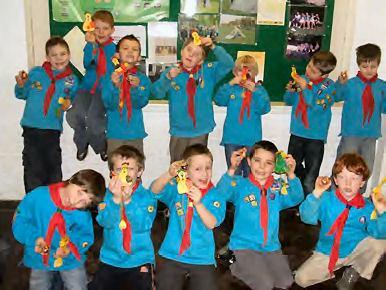 There's lots happening with our troop at the moment. After a wonderful centenary celebration and lots of camps and activities, we are looking forward to a great summer term of adventure and fun. The Beaver, Cub and Scout sections have a full schedule of events to make the most of the summer weather and relive Baden Powell's vision of outdoor exploits and healthy pursuits. The success of the group means that we're always looking for more helpers to cope with the demand. Have you got some time and enthusiasm to lend a hand? Specifically, we know that Erika, our Beaver Leader will be leaving within the next year. To have a smooth transition and easier handover, we'd like to find a new Beaver Leader now. 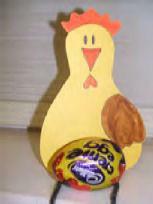 Our Beaver Scouts had lots of fun making easter Chickens this week (see photo) and were kindly supported through the donation of Chocolate eggs from our local Dunstable Sainsbury's Store. Two women from Eaton Bray who have accrued a wealth of knowledge and experience through caring for people with dementia want to pass their skills on to others. Pat Quartermaine and Fran Taylor have set up a training company called Vivalo, meaning nourishing aliveness, for carers who want to enhance the lives of people with dementia. Pat and Fran have been working in care, therapy and education for many years and will be co-ordinating their teaching programmes from Eaton Bray. Pat, who is a qualified State Registered Nurse, said: "Between us we have over 50 years experience in the field. To enhance the quality of life of residents we feel all care staff need to have a practical and theoretical training programme. With the increased number of residents having dementia, understanding their needs and having the confidence to approach with a variety of communication skills and appropriate activities is essential." State registered art therapist Fran said: "We believe by working with care organisations we can help increase staff motivation and skills." On a pitch that would do well to be decscribed as poor, Bray were inevitably asked to bat after losing yet another toss. The attitude of the batsmen was to try and play positive as it was expected that a ball with your name on it would soon be coming. An early wicket brought the experienced Norris & Kerins together and with some fine hitting and at times gutsy defending, the rate ticked along at more than a run a ball. A stand of 157 in 25 overs was eventually ended when Kerins was well caught for 71 and Norris soon followed for 80 when the ball failed to bounce. Fine hitting by Peacock and Hurren (42 and 35 respectively) kept the momentum going and Bray ended up 283-6, a score well in excess of par on that wicket. Church End never had any momentum as wickets fell steadily. 2 catches from Wilson (the less said about the celebrations the better) paved the way for a good fielding performance as 7 catches were taken in total. But the man able to extract the most from the wicket was Roff. Bamboozaling the number 3 by clean bowling him, he went on to claim his first ever 5 wicket haul, his figures ending up 5-25. He even deliberately dropped a dolly catch off skipper Jones so he could claim the wicket at the other end. But the story doesn't end there. The introduction of Spicer left players and spectators gaping as his missiles were launched. One batsman thought he was the luckiest person in the world when, after being completely deceived by the flight and guile of Spicer, the ball hit the bail and failed to remove it!!! The batsman then became the unluckiest player in the world when in the next over he was caught Jones bowled Spicer!!! There was still time for Jones to drop another catch off the luckless Harvey before Spicer wrapped up proceedings and ended with figures of 3-34.
Who would want to be a woman working in the home? Step out of bed, and the day starts, you slave away; - washing, ironing, dusting, polishing, hoovering, cooking, and for what ? Hungry for appreciation, yet nobody notices anything you've done!! In between these chores you tend the garden, do the shopping, a little mending, write the letters, birthday cards etc. arrange flowers, put out the rubbish, clean the bins, sweep the paths, disinfect the drains,... need I go on?... The old saying "A woman's work is never done", is so true. Home come the family? books, boots, coats, just dropped - the cry - "Anything to eat", rings out. Next it's the turn of the briefcase and newspaper - "What a day, I'm so tired, - I could murder a cup of tea," echoes through to the kitchen, followed by "What time's dinner?" At school you receive gold stars, a. "Well done", from your tutor, at work in the office, another step up the ladder, or perhaps a rise in salary comes your way. But what about the housewife? Within a few minutes the labours of her day are by-passed. When was the last time someone said, "house looks nice Mum", or "like the flower arrangement", or even "that was scrumptious" after dinner. A quick hug, a kiss, someone saying "love you Mum" can make such a difference if your day has been hard too. It takes strength to work and labour without any recognition. Human beings need love, care and protection; Christian families are bound by these ties; so although the stresses and strains of life might bring about the temptation to go on strike, or at least run away from it all, because we know that our work is primarily a God given task, we know our responsibilities will be rewarded by Him if we are faithful. Psalm 55:22. says 'Cast thy burden upon the Lord and He will sustain you'. It's not really so bad is it? After all we can stop and have a rest and a "cuppa" whenever we want to. Sit and see a bit of tele' when our back aches - and knowing that tomorrow we have a little retail therapy to look forward to does wonders for our moral. But from it - someday, something good and wonderful may spring. And do the job before them with a brave and happy heart..."
can do anything through him who gives me strength." Eaton Bray Lower School: Top Marks! "Eaton Bray Lower is an outstanding school. It modestly evaluates itself as good with some outstanding areas, but it is better than this. 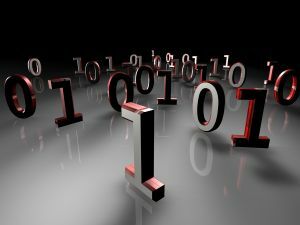 Its selfevaluation is correct in identifying strengths and areas for development. It provides an outstanding quality of education and care for its pupils and excellent value for money. Staff work exceptionally well in partnership with parents and the community for the benefit of all pupils. Pupils‛ enjoyment of school is impressive. The supportive parents are delighted with all aspects of its provision. Leadership and management are outstanding. The headteacher‛s vision for a school at the heart of its community is shared by the highly committed staff and excellent governors. This is set to become more firmly realised with the building of a new nursery with facilities for the local community and visiting professional from children‛s services." Please come and visit our friendly village school. Phone 01525 220468 or see our website. Coming Soon: EBLS Nursery with extended School provision and wraparound care in a modern, light, environmentally-aware building - due to complete Spring 2008 - please call at the school (01525 220468) to find out more. The press recently featured a controversy which has arisen in a village in Surrey over the Rector's insistence that marriages can be conducted in church only where one (or both) of the parties is either resident in the parish or a regular worshipper in the church and on the (church's) Electoral Roll. In this he is simply observing the requirements of English Civil Law, and his bishop has said "You cannot criticize someone for keeping the law". There have recently been changes in the regulations governing where a civil marriage ceremony can take place, but no change has yet been made in the laws governing church marriages. Changes are proposed which will broaden the qualifying categories, but until the necessary legislation is passed, the requirement remains for a church wedding that at least one party to the marriage must actually live in the parish or be a regular worshipper whose name is on the Electoral Roll. The one exception to this is marriage on the authority of a Special Licence (issued on the authority of the Archbishop), in applying for which an active and long-standing association with the church in question has to be demonstrated. I hope this clarifies the issue for all parishioners. Bills in the local area total far more than neighbouring Luton, figures show. People who live inside South Beds District Council's boundaries are stung far more in council tax bills than almost anywhere else in the country, new figures have shown. On average, people in Band D homes in Dunstable, Houghton Regis, Eaton Bray and the surrounding villages pay £200 more each year than their counterparts in neighbouring Luton. South Beds trails just Sedgefield Borough Council and Rutland County Council for the dubious honour of being the country's most heavily-taxed local authority area. The average bill for each Band D property in the district is £1,593, compared to £1,293 in Luton. This week the Taxpayers' Alliance, which campaigns for public sector efficiency, called on authorities at the top of the list to be more prudent. But South Beds District Council and Beds County Council have defended themselves against allegations of wastefulness. The close season activities of quiz nights, race evenings, trips to London and Towcester race course do not compare with the real thing. The real thing started again on 18 April. Yes, it's the cricket season and summer has finally returned. Naturally when the members of Eaton Bray Cricket Club opened-up the pavilion in April there was snow laying on the outfield. Not wishing to enter the whole debate on climate change, but, haven't the seasons shifted? Aren't the seasons getting later? Well, the cricket 'season' is not getting later. The club started on the third weekend in April and league season started after a further two weeks. The Club competes in the Morrants Four Counties League, loosely based around Milton Keynes. Since its inception in 2000 the Club has a good record having been champions three times and runners-up twice. However it has not won the title for the past two years. The second team competes in the third division of the same league and should have a good season with Darren Kerins in charge, and with the return of veteran swing bowler Georgie Coughtrey. Georgie played in the Sunday friendly team last season and missed the competitive edge of league cricket.....and a beer on a Saturday night! 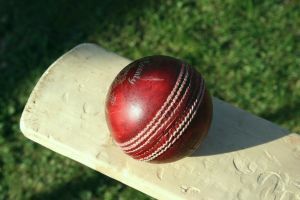 Eaton Bray got their 2008 league season off to a solid start on Saturday with a winning draw at Aspley Guise. Bray were asked to bat first and survived some good early bowling from Aspley Guise in reaching 254-3, declaring with an over to go. Wes Hosking made a typically flamboyant 64, Paul Harris a good 41 and James Flecknell made an excellet 105 not out taking advantage of some tired bowling and hogging a large portion of the strike along the way. Bray bowled tidily, but struggled to create chances on a track that offered little assistance to the bowlers. Aspley's Batsmen batted sensibly, and a comfortable draw looked the likeliest outcome. An excellent 2nd spell from Gary Ellerton and the carrott of an extra batting point for Aspley brought the game very close to a Bray victory. Aspley had 2 balls to survive with 1 wicket left, but held out for the draw. The game was played in good spirt between the 2 teams, and we look forward to the return fixture back at Eaton Bray. You are viewing the May 2008 archive.